Playdough provides children with endless possibilities to play and create as well as developing all sorts of physical and cognitive skills. As Halloween is not a million miles off, I thought it was time to make some Halloween inspired playdough and invite my little munchkins to get creepily creative!!!!!! After Christmas, Halloween is my favourite holiday! Mind you, I love to celebrate and decorate for every holiday and festival throughout the year!!!! However, being a teacher this is usually the first holiday of the year that we really get to focus on and get creative with and as a result I have built up a tonne of resources and ideas over the years for Halloween. Since having children of my own, Halloween has become so much fun and we have begun to make a bigger effort to mark this festival every year! To kick start our Halloween festivities this year, I am sharing with you our freeky and fantastic Halloween playdough and invitation to play and create! For our playdough recipe take a look at our Autumn / Fall coloured playdough recipe! To make it more “Halloweeny” just add Halloween inspired colours (green, black, orange, purple, etc) and maybe a little glitter like we did! I’m going to let the photos tell the story of the creative fun we had with this activity, but I have listed the materials we used below! Some of Scooby Doo character figures! I arranged all the materials in a tray and laid them out on the table with the playdough! The theme spoke for itself so Doodles (5) and Oodles (almost 3) instantly started to create monsters and ghouls. I always find that they are way more engaged in an activity like this if I sit at the table and quietly create my own little creations while casually chatting to them! Everytime they finished a creature or monster they asked to photograph their masterpiece themselves or for me to take a pic for them. We spent a lovely hour happily creating our friendly little monsters and witchy friends! 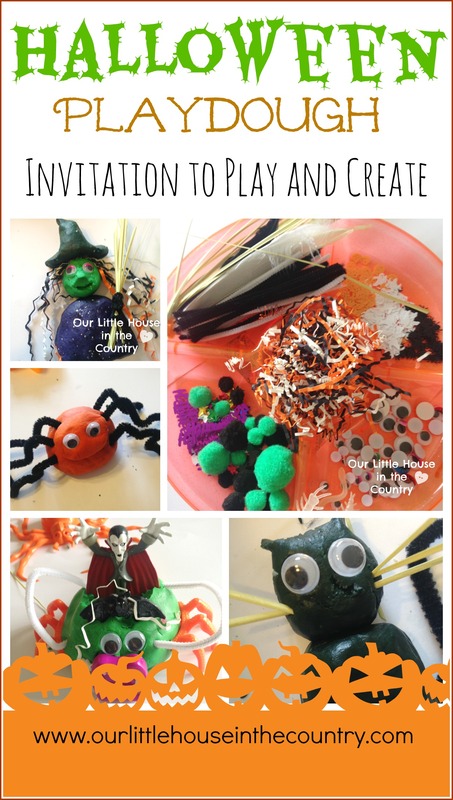 What would you include in your Halloween Invitation to Play and Create? Take a sneak peek at Our Little House in the Country and see our Fall decorations and what Autumn activities we have been up to lately by having a browse through our Instagram! These are great ideas! That cat is SO cute! 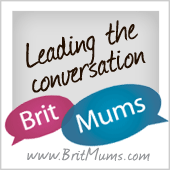 Thanks for linking this up to the SHINE blog hop! I know my kids will love this activity!